Why would I need self storage in Clearwater, FL? There are a variety of reasons why you might need self-storage in Clearwater, FL. How much is a storage unit in Clearwater, FL? The cheapest storage unit in Clearwater, FL is $35.00 per month. What size storage units do you have available in Clearwater, FL? In Clearwater, FL we have sizes that range from 5'x5' to 15'x20' to suit your storage needs. How much is it for a 5'x5' storage unit in Clearwater, FL? The cheapest 5'x5' storage unit in Clearwater, FL is $51.00 per month. 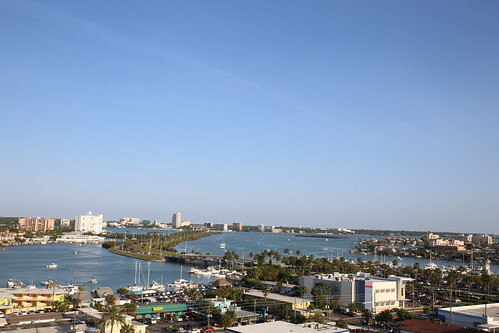 Clearwater is a Florida city that sits on the Gulf of Mexico, nestled in Pinellas County. It's home to a mid-size population that has recently started increasing once again, with a number of people attracted by the variety of beaches, entertainment options, community events and activities to enjoy. Clearwater was first settled in the mid-1830s and originally named Clear Water Harbor. In the Seminole Indian Wars of 1835, Fort Harrison was built near the city, and was rediscovered in the 1960s when a local citizen dug up his backyard to plant a tree. In the early years of Clearwater, the city was used for farming cotton and vegetables, and up through 1888 the community only had 18 families living in the area. Henry Plant was a prominent developer at the time and decided to help boost business in the area by building hotels and resorts. The city saw its first real estate boom and growth in the early 1900s. If you're hoping to enjoy a friendly sense of community togetherness, you'll be glad to hear that Clearwater provides that through its variety of community events. Celebrations of culture, music, food and film are a big part of life in Clearwater, as are its many holiday events. Thanks to the year-round warm weather in Florida, the city's events aren't limited to any one season. You can enjoy a variety of special events nearly every month of the year, ranging from the Sea-Blues Seafood and Blues Festival in February to the Winter Wonderland event in December. Local diversity is honored during events like the Clearwater Greek Festival and the Hispanic Heritage Festival, while the Sugar Sand Festival and Fun N' Sun Festival are tributes to the famous Florida beaches. Clearwater is also host to a few large-scale events that draw visitors from around the world. Every year, the International Speedboat Championship takes place in the city, and Clearwater has also hosted the Foster Grant Ironman World Championship. The schools in Clearwater are part of the Pinellas County School District, including a number of district-run charter schools. In addition to its traditional schools, Pinellas County School District offers a virtual education school that allows students to take classes online with district-employed teachers. You'll also find a handful of private schools to consider in Clearwater. Utilities: Clearwater Gas and Duke Energy are the city's primary energy providers. Water and sewer services are facilitated by the city. Garbage and Recycling: You'll receive a city-issued black barrel for the weekly collection of your trash. Transportation: Pinellas Suncoast Transit manages a network of public transportation routes in and around Clearwater. The agency offers a smartphone app that allows you to conveniently review routes and schedules. Due in part to its coastal location, Clearwater has an average home price that's higher than the nearby metropolitan area of Tampa. The good news is that there are plenty of options on the housing market, ranging from rental apartments to large, single-family homes with scenic views. Our lowest priced units in Clearwater, FL average $75.13 per month. 421 people have reserved units in Clearwater, FL in the past 30 days. There are 8 locations within Clearwater, FL's city limits. There are 5 locations in Clearwater, FL that offer AC and Heating features.